Is in the living room where everything happens: from a discreet afternoon nap to a crowded movie night party with your loved ones. 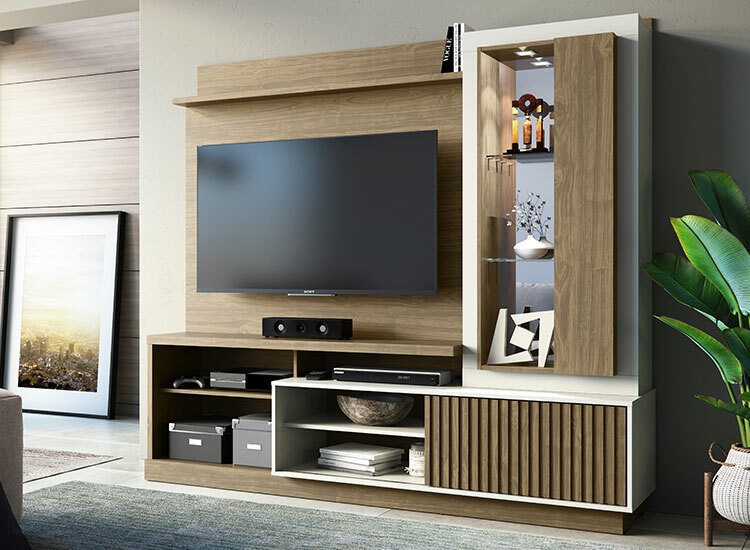 Choose an Entertainment Center to frame those lovely moments. 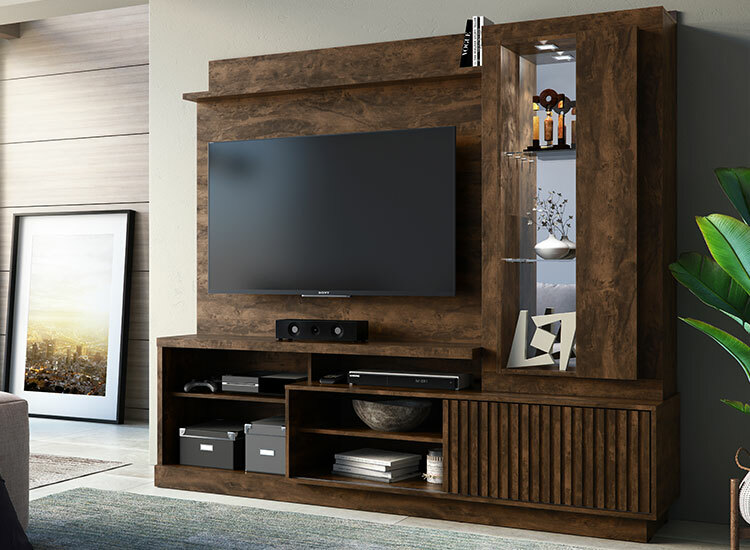 With a perfect blend of style and functionality, the Amazonas Entertainment Center provides the best solutions for your living room. 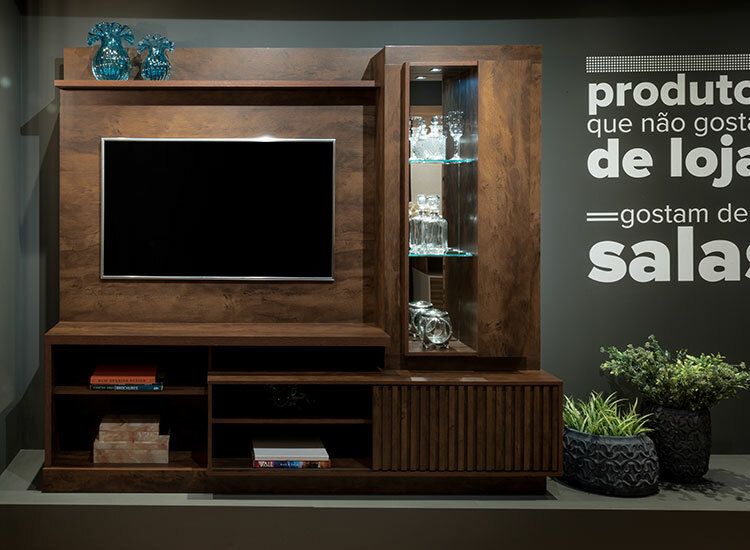 It offers a modern design, with mirrors that give depth to the environment, high resolution printing, wood-like texture and clean and well-matched colors that will bring comfort to your ambiance. 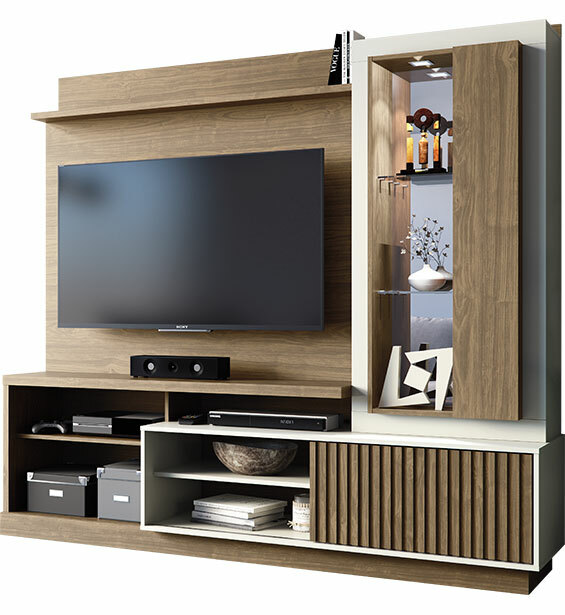 Sturdy and impressive, it holds a TV up to 60". 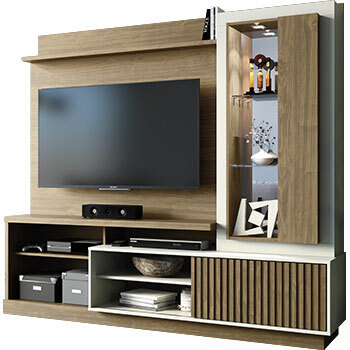 Featuring a vertical hinged door and a horizontal sliding door with decorative slats, glass shelving and mirrored open spaces. 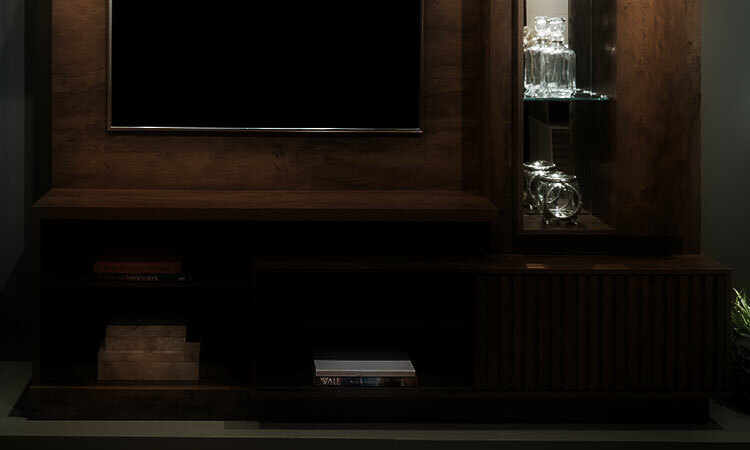 Display your electronics in an elegant and organized manner and achieve a cozy ambiance for your family. 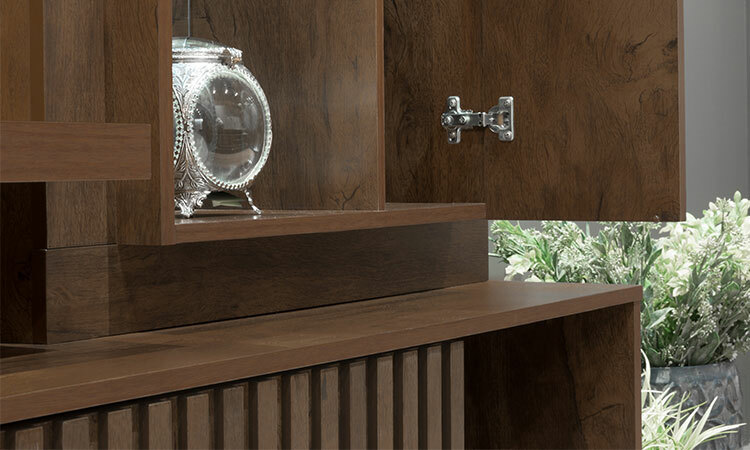 Door with decorative slats: A trend in decoration, it gives a touch of personality to your space. 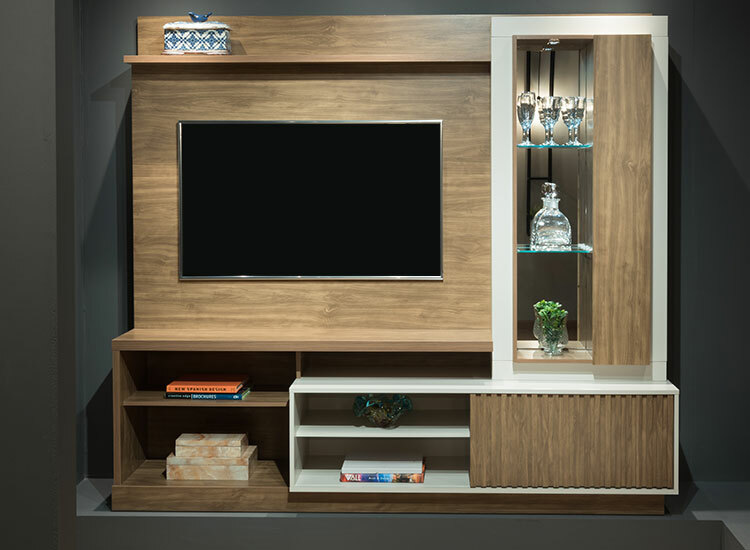 Mirrored cabinet: with glass shelving that offers a stylish space to display your favorite belongings. 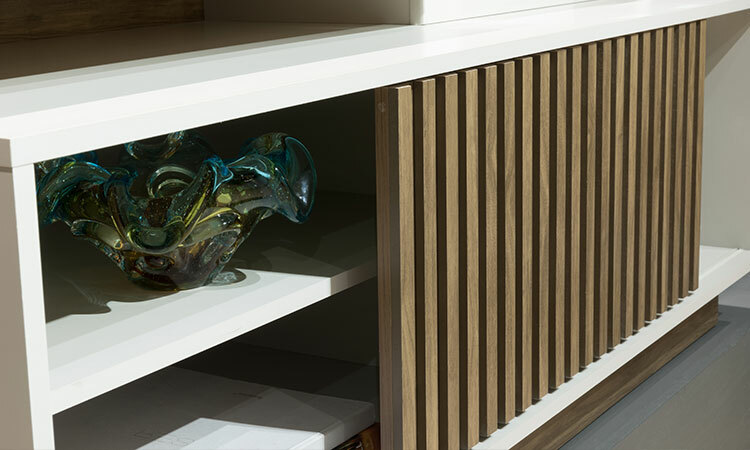 Hidden storage space: Two options to keep out of sight your stuff and papers. We are sure, you will love it. 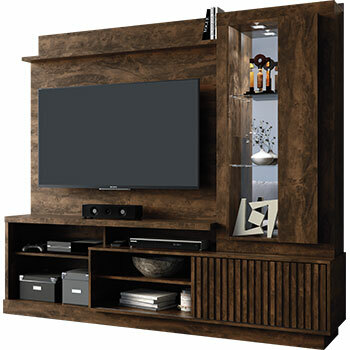 The Amazonas Entertainment Center will definitely suit the most demanding tastes.